as previously defined. Regurgitant fractions of less than 30% are consistent with mild regurgitation, 30-50% with moderate regurgitation, and more than 50% with severe regurgitation. Fig. 12. 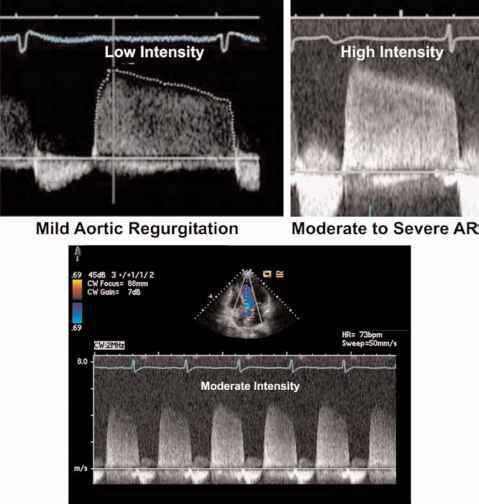 Signal intensities in aortic regurgitation severity. Fig. 13. Deceleration rate. 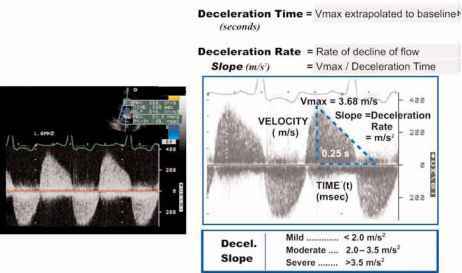 The rate of deceleration of the continuous-wave Doppler signal reflects both the degree of regurgitation and the ventricular end-diastolic pressure. Fig. 14. Pressure half times (PHT or P 1/2 t). 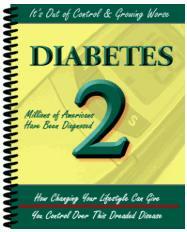 The pressure half time is the time it takes for peak pressure (mmHg) to drop to half its initial value. As the degree of regurgitation increases, the aortic diastolic pressure decreases and the left ventricular end-diastolic pressure increases. 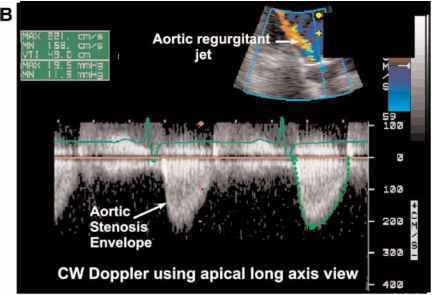 This leads to a rapid drop-off in pressure (as well as velocity) across the aortic valve. 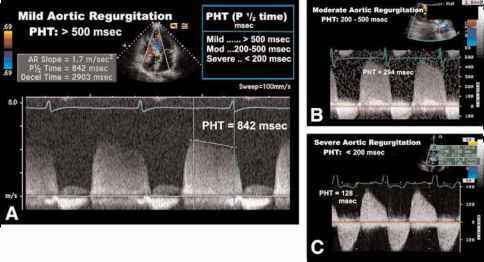 The more severe the aortic regurgitation, the greater the slope and the shorter the PHT. 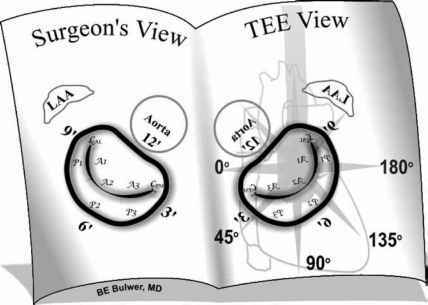 How to measure pressure half time aortic regurge?